We all deserve a little pampering now and again... and it's even better when the ingredients are nourishing our skin, rather than poisoning us. That's where Skin Food by Aubrey comes into play. Over the past few months I have done quite the overhaul in my daily routine of skin care products and switched to more natural products. And granted, yes I have still kept a few products that I love but to most things I said "buuuh-byyye! ", and replaced with much healthier options. 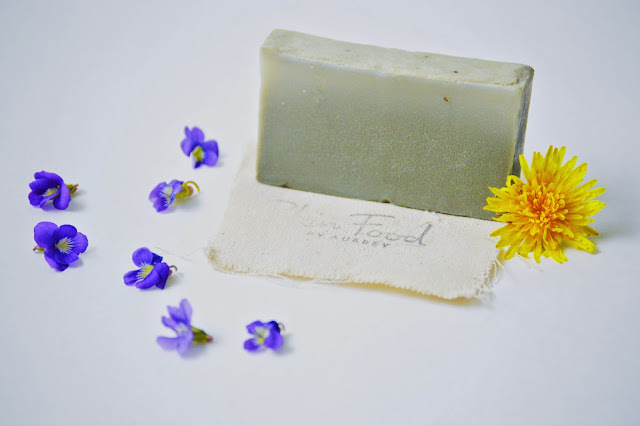 Aubrey began creating and crafting soaps and lotions as young as age twelve and it just kept evolving more and more from there till Skin Food by Aubrey was born several years ago! What does Aubrey use in the creation of your products? Only the finest and highest quality ingredients! She uses Super Foods, butters, herbs and oils to create products formulated and perfected over the years to soothe, cleanse and restore skin and she has spent (and still spends) countless hours and days researching ingredients, their origins, how they are cultivated and harvested and their benefits in relation to the body, nutritionally and applied topically! 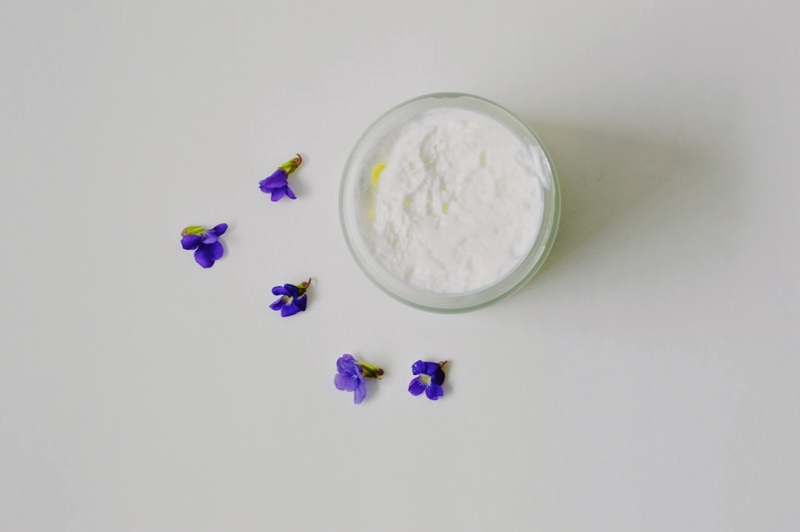 So yeah, see ya later (or rather not) ingredients I can't pronounce (much less even read), hello pronounce-able all natural ingredients that are actually GOOD FOR ME! I LOVE every single product I've tried so far, and Detox Skin Facial Mask was seriously out of this world! It cleaned and closed my pores and made my skin glow! It boasts such cool ingredients as Kelp, Alfalfa, Dead Sea Clay, Grape-seed Oil, Clary Sage, Essential Oils! 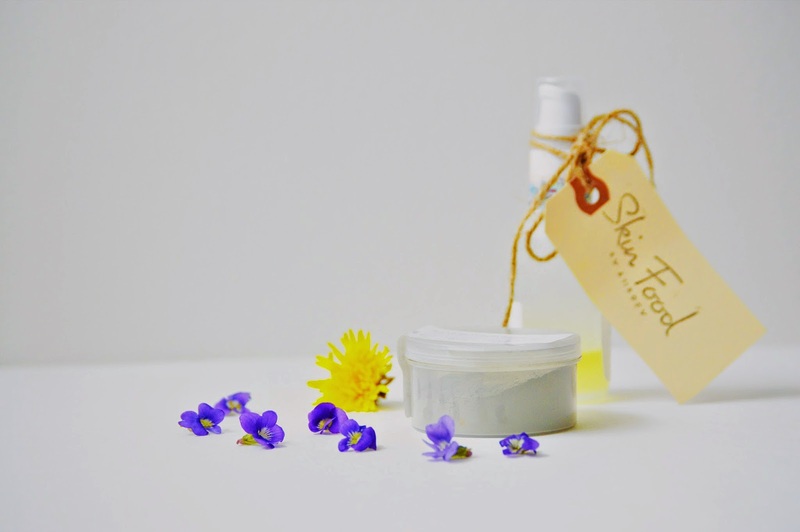 Now that it's finally spring (and summer is fast approaching) we all want to let our toes free, but dry winter skin? Get rid of it with the Dry Skin Shower Treatment! My tootsies are super soft now! 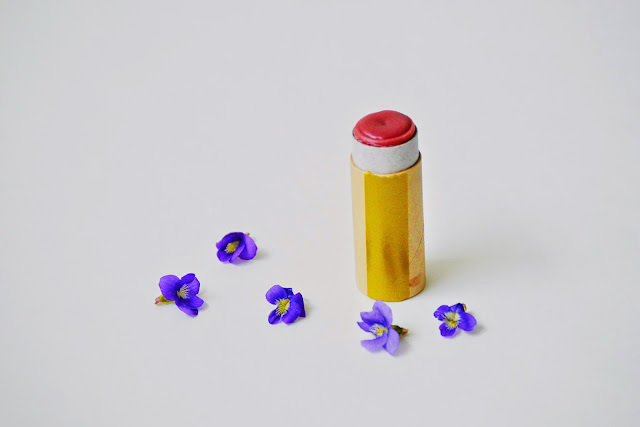 The "Give Me A Beet" lip balm is super yummy too, smells like Peppermint and earth after a nice spring rain and gives your lips a perfect natural sheen to them, keeps them super hydrated as well, without leaving your lips and face feeling greasy! The Coconut Ginger Lime body scrub is pretty amazing and smells awesome! It absorbs into the skin quickly without leaving any greasy or sticky feeling, leaving your skin feeling moisturized and happy! I have the Orange Ginger body butter and it is oh so lovely! 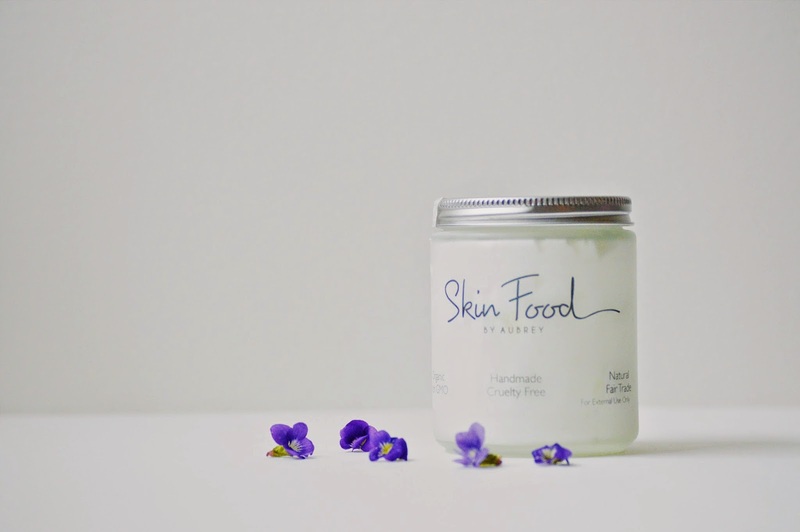 Skin Food products are all natural, organic, non-GMO, herbs, premium organic oils, highest quality essential oils, not tested on animals, most are completely vegan, and the quality of Skin Food Products are seriously top notch! And every single batch is handmade! 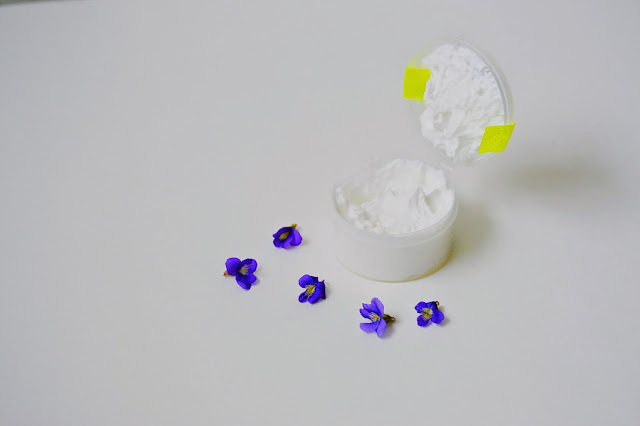 Are you interested in making the switch to natural skin and beauty products? Do you want to Skin Food by Aubrey? Do you want happy skin? Aubrey and I are so excited for you to try Skin Food that we have teamed up to give you 15% off for all Joyful Tribe readers! Use the code "JOY15" for 15% off your orders! Trust me, once you try it you'll LOVE it and you will never go back! I might even have to use it haha since there are so many more Skin Food products I want to try! Oh and did I mention that Aubrey is the sweetest lady ever! Here's to joyful and radiant skin! XOXO! Loving Skin Food? Take a moment and connect with Aubrey via her social media outlets below!